Visit HANNOVER MESSE from April 23 – 27. HANNOVER MESSE and Industry 4.0 (originally coined in Germany as Industrie 4.0): two names that are inextricably intertwined. 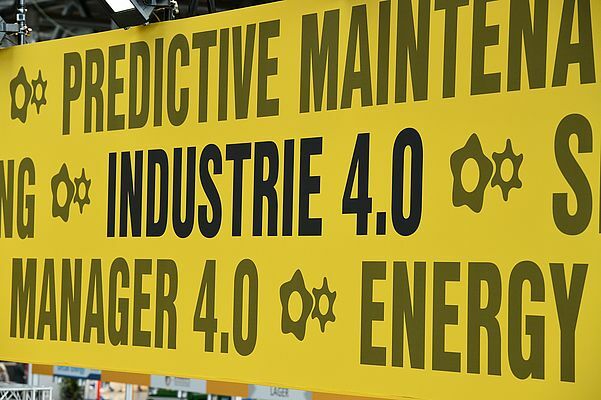 True to form as the world’s leading trade fair for industrial technology, HANNOVER MESSE got on board very early with the opportunities of Industry 4.0, and in the process became the global hotspot for the digital transformation of industry. This year, with “Integrated Industry – Connect & Collaborate” as its lead theme, HANNOVER MESSE, is taking its Industry 4.0 commitment to the next level with a strong lineup of keynote themes. These include the integration of industrial IT and automation, artificial intelligence, predictive maintenance, the industrial platform economy, people and work, SMEs and technology users, interoperability, security and standards, to name but a few. The central discussion platform for these themes will once again be the “Industry 4.0 meets the Industrial Internet” forum in Hall 8. International experts will take the stage at the forum to present new use cases, test beds, technologies and service offerings. There will also be daily panel discussions, where representatives from business, science and government will debate the big issues. The dialogue on Industry 4.0 and integration that springs up at the exhibition stands will be addressed in greater depth in a number of dedicated forums, first and foremost of which is the aforementioned “Industry 4.0 meets the Industrial Internet” forum in Hall 8, followed by the Smart Power Transmission and Fluid Power Solutions showcase in Hall 23, the Automation Forum in Hall 14, the Logistics 4.0 Forum in Hall 19/20 at CeMAT, and the central Industrial Supply Forum in Hall 4. Industry 4.0 and integration will also feature prominently at HANNOVER MESSE’s Energy show. For example, on the Monday of the show, the German Energy Agency (dena) will use the Digital Energy display to present the findings of a recent survey on the market potential and uptake of digital technologies that facilitate the smart integration of industry 4.0 systems with the energy supply infrastructure of industrial companies. This year, the discussion on IT security won’t be confined to the “Industry 4.0 meets the Industrial Internet” forum, the Automation Forum and the Smart Power Transmission and Fluid Power Solutions display. That’s because this year, for the very first time, the Digital Factory show will have a dedicated Industrial Security display area. Located in Hall 6, the display area will feature a group pavilion and a forum.